The name "nylons" refers to the group of plastics known as polyamides. Nylons are typified by amide groups (CONH) and encompass a range of material types (e.g. Nylon 6,6; Nylon 6,12; Nylon 4,6; Nylon 6; Nylon 12 etc. ), providing an extremely broad range of available properties. Nylon is used in the production of film and fibre, but is also available as a moulding compound. Nylon is formed by two methods. Dual numbers arise from the first, a condensation reaction between diamines and dibasic acids produces a nylon salt. The first number of the nylon type refers to the number of carbon atoms in the diamine, the second number is the quantity in the acid (e.g. nylon 6,12 or nylon 6,6). The second process involves opening up a monomer containing both amine and acid groups known as a lactam ring. The nylon identity is based on the number of atoms in the lactam monomer (e.g. nylon 6 or nylon 12 etc). The majority of nylons tend to be semi-crystalline and are generally very tough materials with good thermal and chemical resistance. The different types give a wide range of properties with specific gravity, melting point and moisture content tending to reduce as the nylon number increases. Nylons tend to absorb moisture from their surroundings. This absorption continues until equilibrium is reached and can have a negative effect on dimensional stability. In general, the impact resistance and flexibility of nylon tends to increase with moisture content, while the strength and stiffness below the glass transition temperature (< 50-80 oC) decrease. 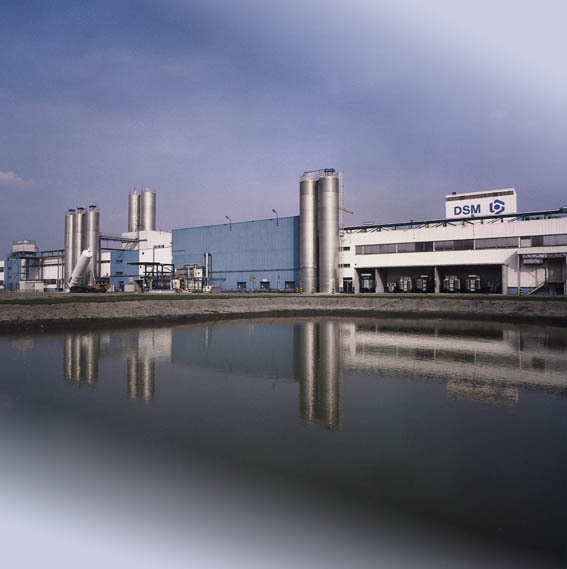 The extent of moisture content is dependent on temperature, crystallinity and part thickness. Preconditioning can be adopted to prevent negative effects of moisture absorption during service. Nylons tend to provide good resistance to most chemicals, however can be attacked by strong acids, alcohol's and alkalis. Nylons can be used in high temperature environments. Heat stabilised systems allow sustained performance at temperatures up to 185 oC (for reinforced systems). There are many types of nylon available (e.g. Nylon 6 nylon 66, nylon 6/6-6, nylon 6/9, nylon 6/10, nylon 6/12, nylon 11, nylon 12). 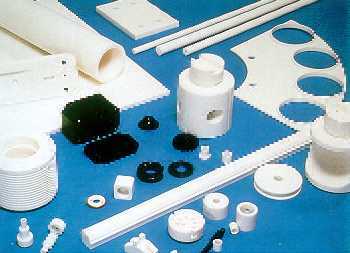 The material is available as a homopolymer, co-polymer or reinforced. Nylons may also be blended with other engineering plastics to improve certain aspects of performance. Nylon is available for processing via injection moulding, rotational moulding, casting or extrusion into film or fibre. Physical Properties: NB The lower figure is typical for unreinforced Nylon, and the higher figure typical for 30% glass filled. Nylon fibres are used in textiles, fishing line and carpets. Nylon films is used for food packaging, offering toughness and low gas permeability, and coupled with its temperature resistance, for boil-in-the-bag food packaging. 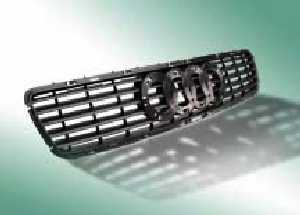 Moulding and extrusion compounds find many applications as replacements for metal parts, for instance in car engine components. Intake manifolds in nylon are tough, corrosion resistant, lighter and cheaper than aluminium (once tooling costs are covered) and offer better air flow due to a smooth internal bore instead of a rough cast one. Its self-lubricating properties make it useful for gears and bearings.Electrical insulation, corrosion resistance and toughness make nylon a good choice for high load parts in electrical applications as insulators, switch housings and the ubiquitous cable ties. Another major application is for power tool housings. As an integral part of the vehicle's body the door handles have many difficult requirements. They must excellent surface appearance, paintability and UV resistance, but also good mechanical properties like stiffness and toughness. 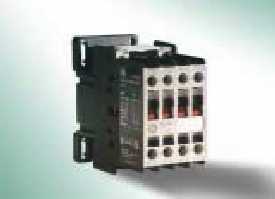 This has a range of sub-category applications, miniature circuit breakers, residual current devices, fuses, switches and relays, contactors and cabinets. 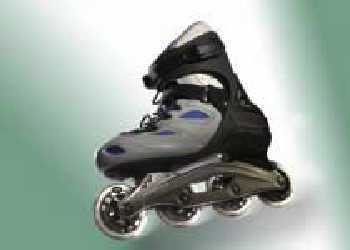 Polyamide 6 is used in large applications in sport, such as ski bindings and in-line skates. This is because it has excellent fatigue properties and provides high impact and mechanical strength. Stockshapes or semi-finished materials are easily machined to make all kinds of products that benefit from the excellent properties of engineering plastics. These properties include (among others) strength and rigidity and electrical insulation properties.